I have a deep interest in raw materials, their possibilities and limits. 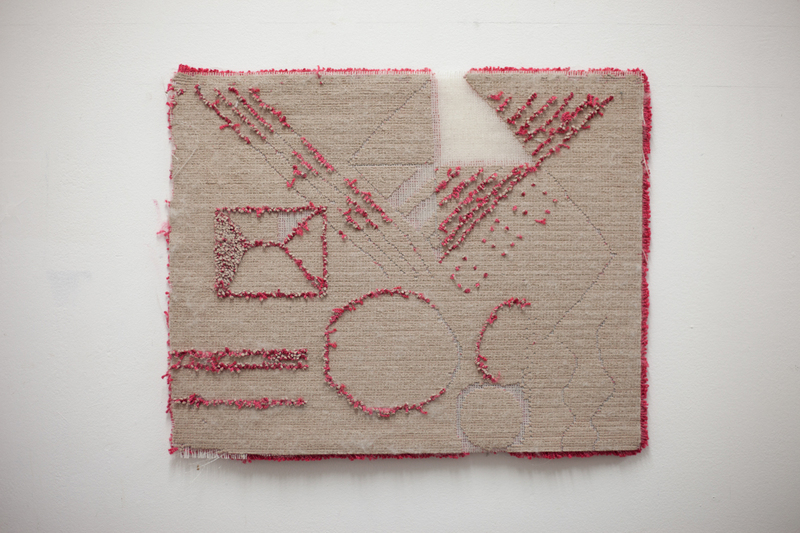 My work focuses on reaction and behaviour of opposing material forms. I am interested in approaching the materials as an amateur does. Without technique and no practical knowledge. I find my own path to work through long and patient periods of studio practice. opposing material, in terms of weight, texture, propose, uses, context, etc. 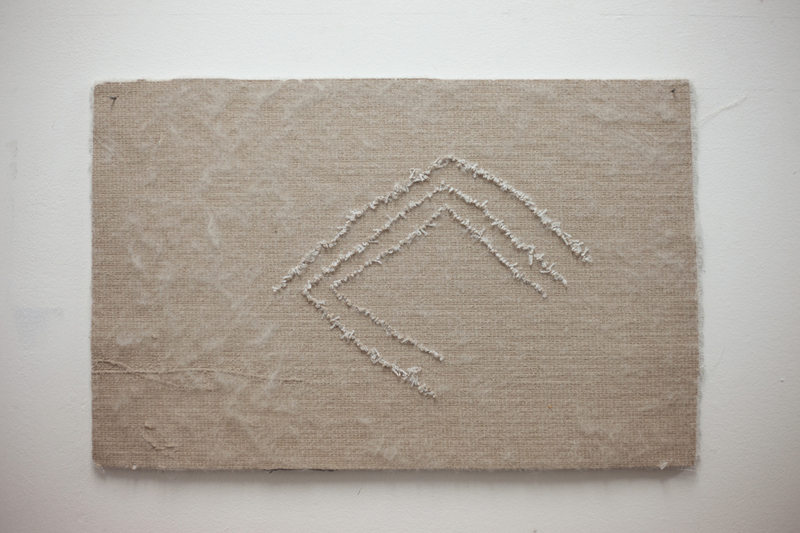 In the last few years I have worked with cement, combining it with paper, styrofoam, and carpets. My exploration of materials often focuses on repetition, a patient accumulation of gestures and actions that become a sculptural volume. Through layers of actions I force material encounters to coexist as a self. 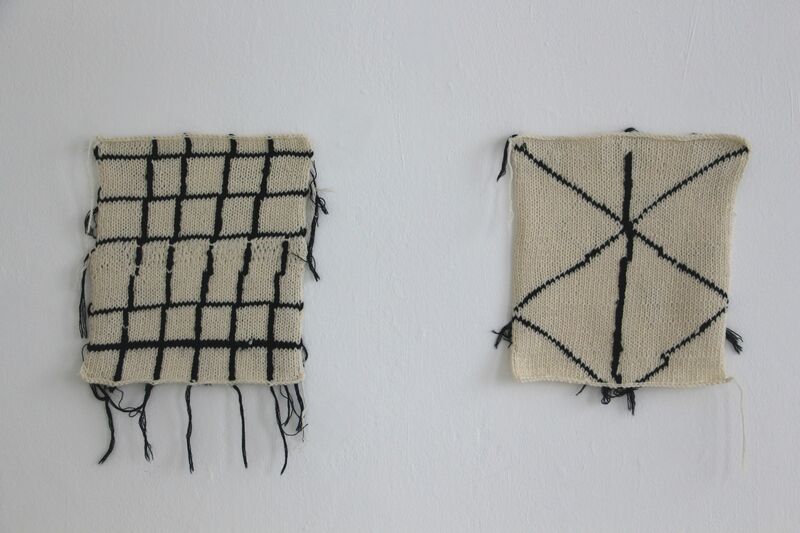 More recently I have been exploring with textiles. 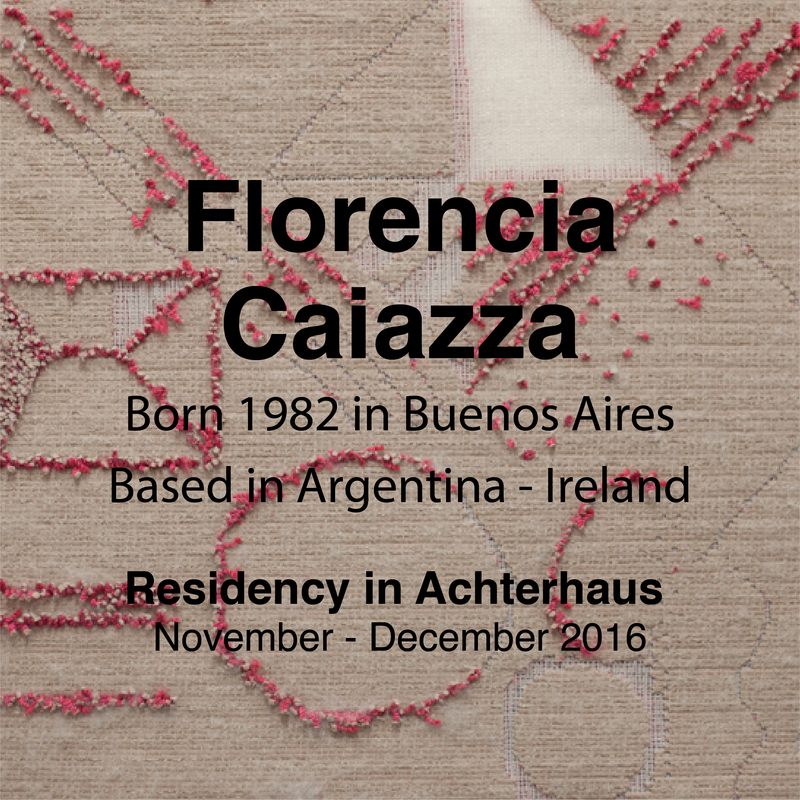 Drawings, the work I developed in Achterhaus, is a work in progress in which I explore the basics of drawing through the textile medium. 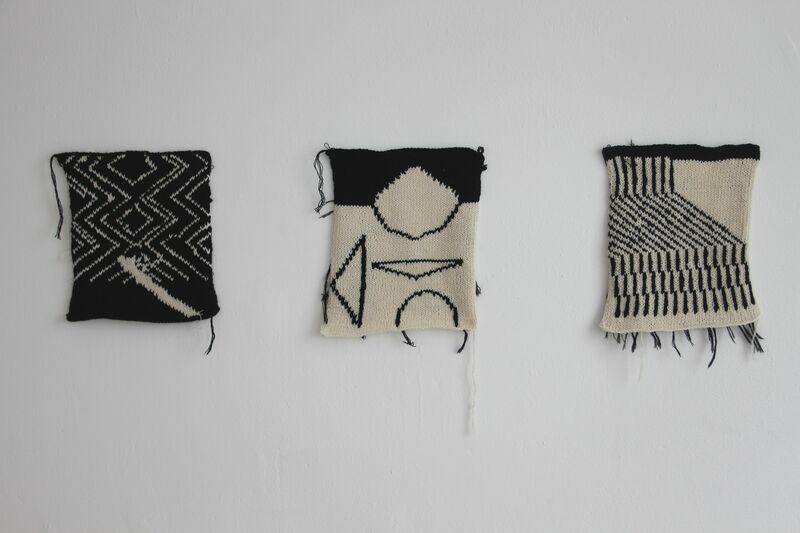 The work is composed of a number of A4 sized knitted pieces. It condenses many hours of learning by instinct and drags with each piece the knowledge and the mistakes of the previous. 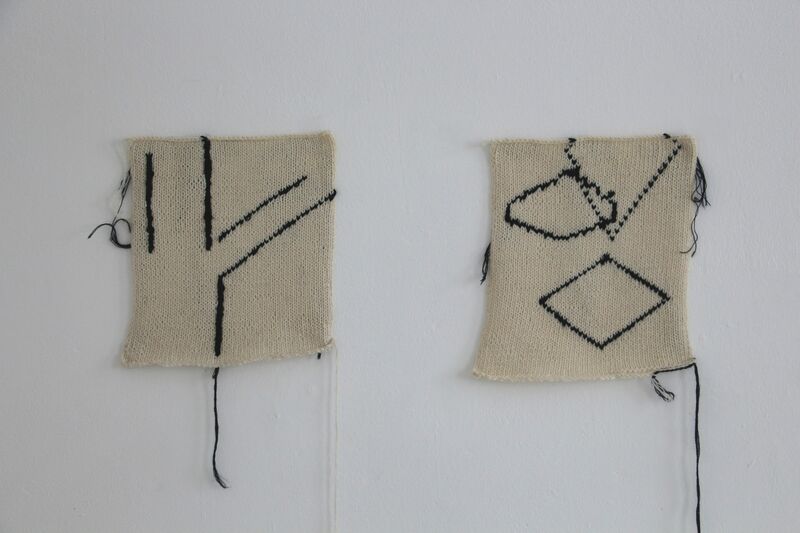 Each piece explores a new aspect of drawing or the combination which I have newly learnt. 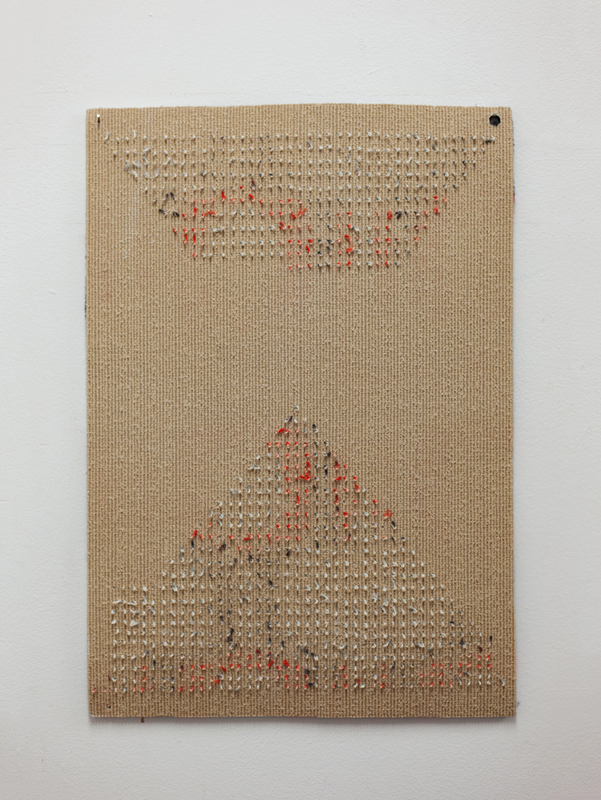 In my art practice I approach the materials instinctively without anticipation or research. Using this method drawing results in a clumsy rawness which contrasts with the delicacy of the material and the planning and techniques crucial to the medium. 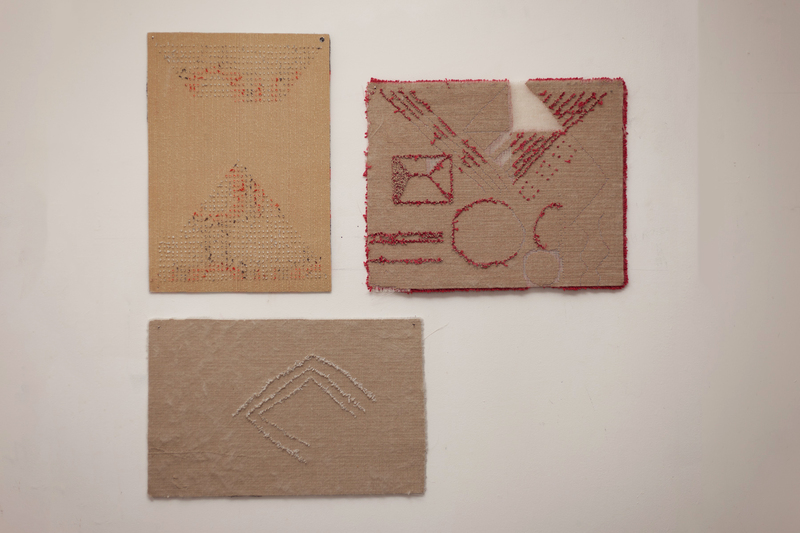 As the work grows in pieces, the lines and drawings became more complex and exploratory.